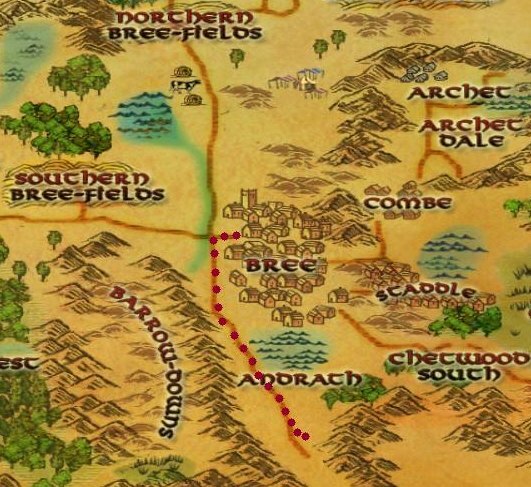 Here you will find LOTRO maps to help you find your way through Bree-land. 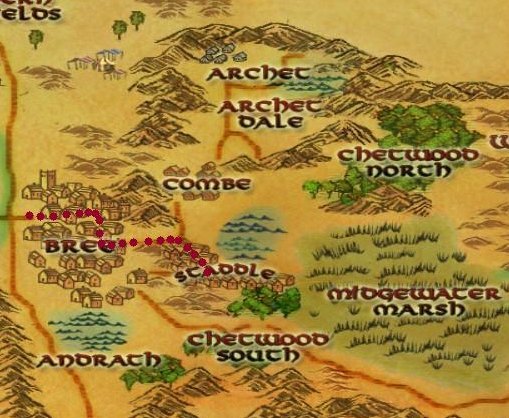 It's pretty easy to find quests and camps in Bree-land, but I've noticed in game there are always new players getting stuck finding Andrath or Saeradan's Cabin. Hopefully these maps will help! 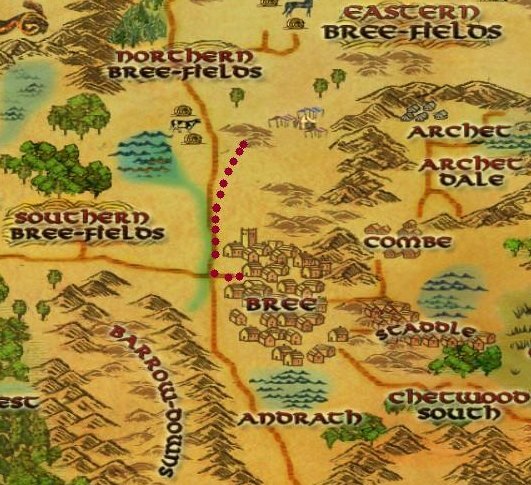 The LOTRO maps on this page will show you how to travel to the main towns and quest locations. 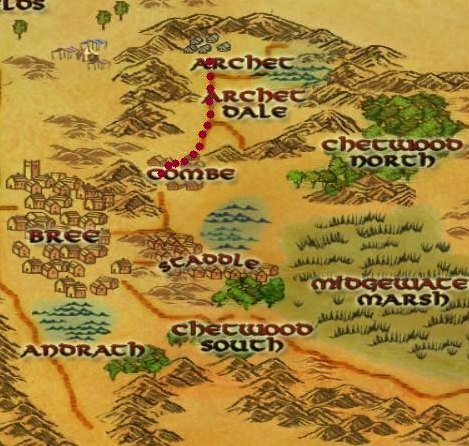 This map is to help you find your way to Combe when you finish the introduction. Follow the red dots along the south road and you'll run right into it. Here I've shown the path you will want to take to Staddle. 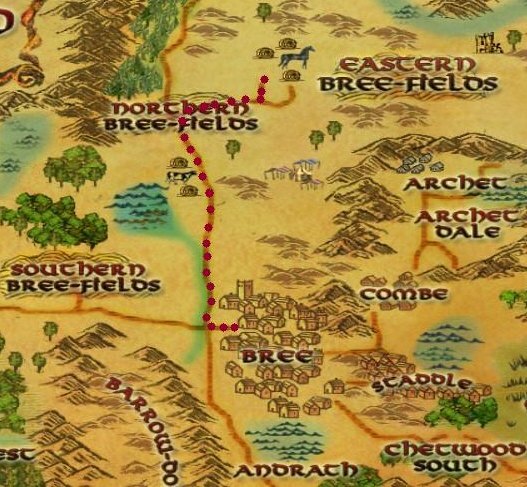 Follow the road to the Prancing Pony, then head south. At the Boar Fountain head east again and you'll make it. This map shows the Stone House. 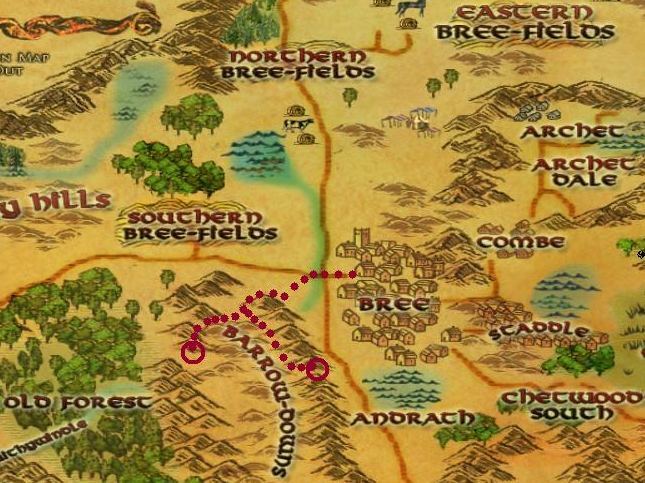 It's very close to the Bree West Gate. 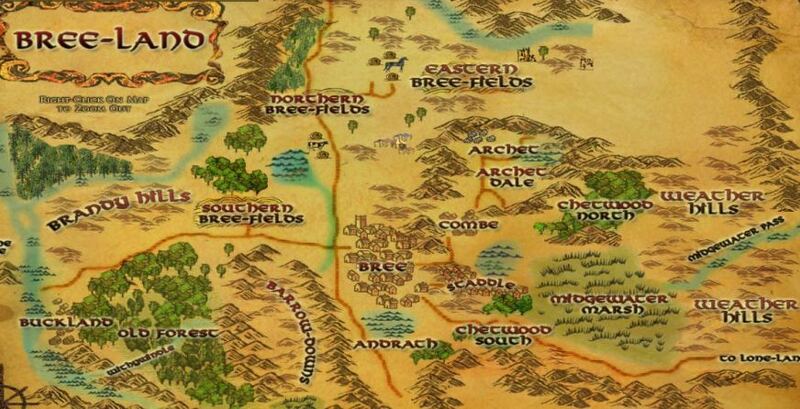 Here is how to reach Andrath. Just follow the path south out of the Bree West Gate and you'll run right to it! This map shows the location of Adso's Camp. Again it's close, just head west out of Bree. Here is the path to Saeradan's Cabin. It's easy to find, just follow the road north. The locations of the two camps in the Barrow-downs are in the red circles. The Old Forest Camp will be your first quest location. Dead Man's Perch is on the eastern side and is the second place to quest. This is the location of the Hengstacer Farm. Here are a few quests and also where you'll train to get the riding trait.